Willi Hennig was born April 20, 1913, in the village of Dürrhennersdorf, southern Upper Lusatia (east of Dresden), Germany, and he died November 5, 1976, Ludwigsburg, Germany. He is buried in Tübingen, Germany, where he was an honorary professor at the Unversity. Hennig was educated at the federal Gymnasium in Dresden-Klotzsche and in Leipzig. As a volunteer at the Dresden Museum, Hennig came under the influence of the diperist Fritz van Emden, and later Klaus Günther. He became a researcher and teacher at the German Entomological Institute, Berlin-Dahlem. With the beginning of war, in 1939, Hennig was called for military service. He was severely wounded, and in peril of his life, in Russia in 1942 and recovered for several months in diverse military hospitals. Subsequently he had been placed in the Military Medical Services, mainly in the malaria prevention program in Italy. World War II ended for German troops and all their associated services with their unconditional surrender on May 9, 1945. Though WH was a prisoner-of-war between May until October 1945, he was not held captive in an Allied camp. Rather he was immediately taken into the anti-malaria service of the British troops until his release from captivity. During this time at the end of the war, he wrote down the handwritten draft of his manuscript for the well-known “Grundzüge” (published in 1950). The former German Entomological Institute of the Kaiser-Wilhelm-Gesellschaft (after 2nd World War reorganized as Max-Planck-Gesellschaft) was located in Berlin-Dahlem until 1943 when it was evacuated to outside of Berlin. In 1949, this Institute returned back to Berlin. However, for political reasons within the then divided city of Berlin, it had to be settled in the Eastern part of the city (Berlin- Friedrichshagen) which had been occupied by the Soviets and subsequently became part of communist German Democratic Republic (DDR). The German Entomological Institute was eventually integrated in the Academy of Sciences in Berlin (East). At the time, Willi Hennig and his family lived in the American sector of Berlin (Berlin-Steglitz, close to Berlin-Dahlem), but every day he had to travel across the political border (the Iron Curtain) separating Berlin in two halves in order to reach his place of work at the German Entomological Institute. This required 4 hours duration for the way there and returning back home, each day! This situation persisted until 1961 when the Berlin wall was built and hermetically cut off both parts of Berlin from each other. Hennig was critical of both the national socialist government of Germany, and the communist government of East Germany. It has recently become known from documents of the East German Secret Service that an official operation of the DDR administration was initiated against WH in 1961 with the final aim to imprison him or take other comparable measures because of his attitudes against the communistic system. In 1961, Hennig was designated by the (DDR) Academy of Agricultural Sciences in Berlin as the future Director of the German Entomological Institute despite his strong, uncompromising and outspoken objections against the political system of the DDR. As a result of the erection of the wall, the plan to appoint him to the directorship was no longer a possibility. After a short, very uncertain intermediate position at the Technical University of Berlin (West Germany), Hennig was offered a position as the head of the then newly established Department for Phylogenetic Research at the State Museum of Natural History in Stuttgart. This position allowed him, admittedly, a pure research activity without obligate administrative duties. However, and notwithstanding the rank of Director, Hennig lacked a solid financial budget (not even a separate one for his own department, at all) and he was not actually independent with regard to technical requirements for his research, nor with respect to ultimate decisions within the official hierarchy at the State Museum. This, and other matters, contributed to a situation which heavily overshadowed the remaining scientific life of Willi Hennig. Elsewhere, Hennig was appointed to several internationally reputed scientific academies, including that in the Swedish Royal Academy of Sciences, and he received numerous awards for his scientific accomplishments, including the gold medal of the Linnean Society London and the gold medal of the American Museum of Natural History, New York. Hennig is best known for developing phylogenetic systematics, a coherent theory of the investigation and presentation of the relations that exist among species. Contrary to the position generally held during his time, Hennig viewed historical inference as a strictly logical and scientific endeavor (Dupuis, 1984). 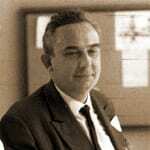 He first summarized his ideas in 1950, in Grundzüge einer Theorie der Phylogenetischen Systematik (Hennig, 1950). Hennig became even more widely known with the publication of an English revision, Phylogenetic Systematics (Hennig, 1966), of the earlier German work. Major Hennigian principles are: (1) Relationships among species are to be interpreted strictly genealogically, as sister-lineages, as clade relations. Empirically, a phylogenetic hypothesis may be determined. (2) Synapomorphies provide the only evidence for identifying relative recency of common ancestry. Synapomorphies are understood to be the shared-derived (evolved, modified) features of organisms. (3) Maximum conformity to evidence is sought (his auxiliary principle). Choice among competing cladistic propositions (cladograms) is decided on the basis of the greatest amount of evidence, the largest number of synapomorphies explainable as homologues. (4) Whenever possible, taxonomy must be logically consistent with the inferred pattern of historical relationships. The rule of monophyly is to be followed, thereby each clade can have its unique place in the hierarchy of taxonomic names. While Hennig was not the first to articulate any one of these principles, he must be given credit for how he integrated the empirical, methodological, and epistemological, and his view that knowledge of processes often benefited from, but did not always contribute to, our understanding of historical patterns. That he was able to convince the systematics community that population genetics, natural selection and adaptation have little to do with the discovery of genealogical relationships is quite amazing, because it was in the 1950’s and 1960’s that evolutionary systematics was generally accepted, and which held that such population thinking was a necessary part of phylogenetic inference. Hennig intended his principles to be methodological, although initially many of his critics misunderstood his intentions as being empirical.It has been suggested (Baroni-Urbani, 1977; Nelson, and Platnick, 1981: 135, 324-328; Nelson, 1981; Amorim, 1997: 144-145) that key elements of phylogenetic systematics are the same as those in Rosa’s (1918) little known publication, and some have even wondered if Hennig learned of those details during the three to four years he spent in Italy during the Second World War (M. Schmitt, 1999; also pers. comm.). However, whenever Hennig might have acquired knowledge of Rosa’s earlier contribution, he may just as well dismissed it, because Rosa’s ideas were so strongly influenced by Lamarckian thinking. That Hennig never seems to have cited Rosa (1918, including the 1931 French translation) should not be taken as anything especially sinister, because Hennig (e.g., 1966) never referenced Lamarck either. Hennig was a Darwinian, and Rosa and Lamarck were not. Schlee, D. 1978. Entomologica Germanica 4: 377-391.